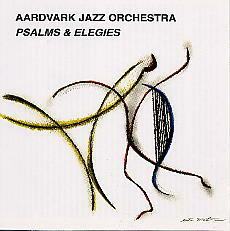 This is the second CD by the Aardvark Jazz Orchestra on Leo Lab. The orchestra is being led by the composer/pianist/trumpeter, Mark Harvey. Three out of four long pieces are elegies for specific people, the fourth moves from the elegaic towards the epic.